How many of us wish we had another pair of hands? I do. Often. Whether I am carrying too many groceries or all of the kid’s stuff, I frequently just need an extra hook. The Qlipter was designed by Mina Yoo, a Seattle entrepreneur who invented the gadget after she became a mom. And it is such a helpful invention- the Qlipter is a combination of a carabiner and a hook and can support up to 50 pounds! 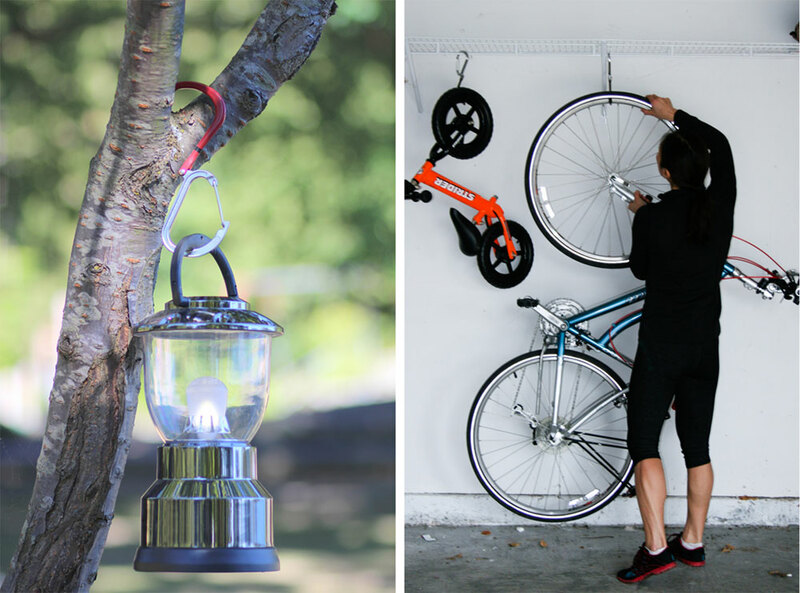 You can use it for everything- when camping outdoors you can hang stuff on a tree, when you’re travelling it can attach your luggage, and of course, with the kids, it can attach to your stroller and carry the endless quantities of equipment we seem to accumulate. Yoo worked on the design of the Qlipter for over a year and it is a well thought out invention. Its major features are a wide hook that securely hangs from nearly any surface. The hook has a rubber end cap that provides it with added grip and reduced slippage. 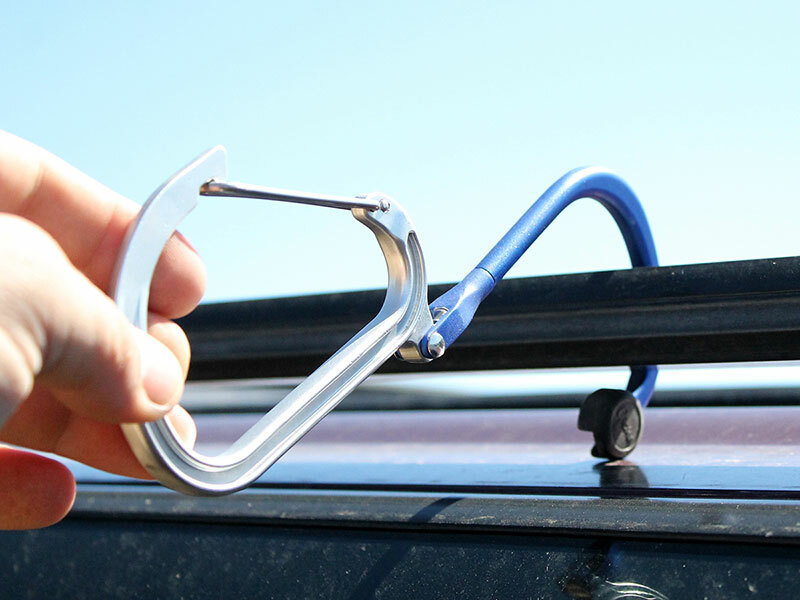 The end of the hook has a magnet that ensures that the hook is securely closed. 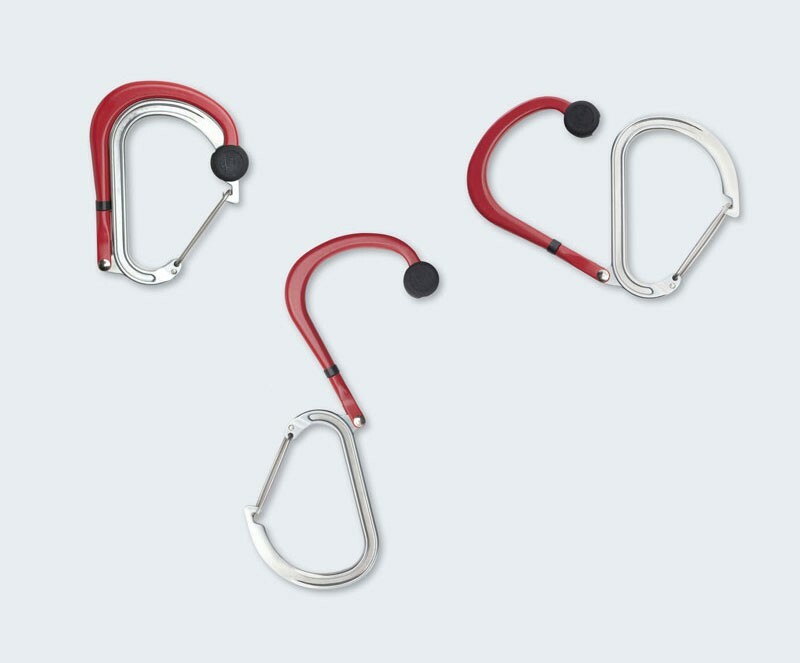 The hook can rotate 360° giving you all the flexibility you need to hang it in difficult positions. The carabiner section has a tapered nose to fit into tight openings and has a large opening so you can load on tones of stuff. The Qlipter is highly durable and is made of aircraft grade aluminum alloy, magnet and rubber. Its dimensions are height 4.4 inches x width 0.4 inches x length 3.3 inches and it weighs 2.5 oz. It is available in black, grey, red, or blue.